For banners, decorations, and big art projects. Made of 100% vat dyed sulphite for superior strength and fade resistance. Rolls of 76 lb paper. Rolls are 36" (91.5 cm) wide, and with an 76 lb paper that has double the strength of regular Decorol art paper. 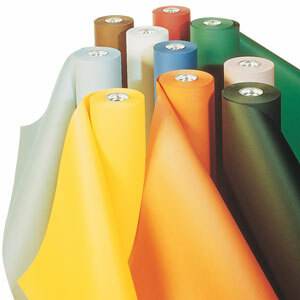 Decorol 500 ft rolls are shipped directly from the factory and do not qualify for free shipping offers. Shipping will be billed at actual cost.